With audacious dexterity, David Howes weaves together topics ranging from love and beauty magic in Papua New Guinea to nasal repression in Freudian psychology and from the erasure and recovery of the senses in contemporary ethnography to the specter of the body in Marx. 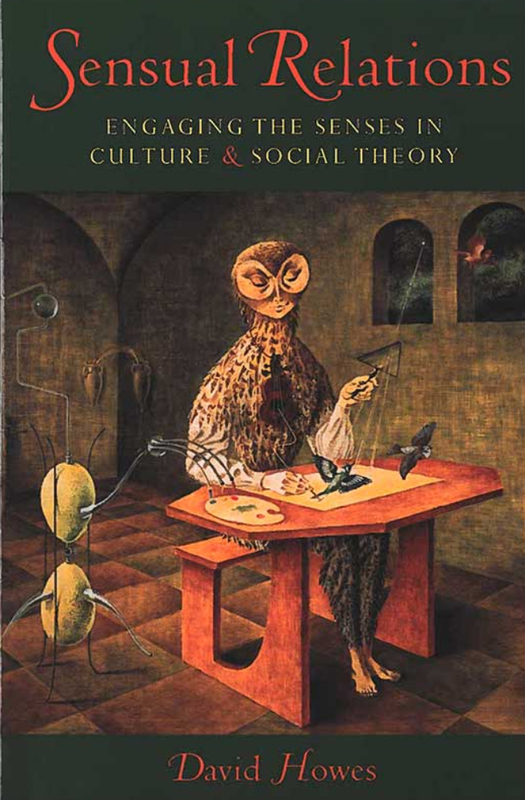 Through this eclectic and penetrating exploration of the relationship between sensory experience and cultural expression, Sensual Relations contests the conventional exclusion of sensuality from intellectual inquiry and reclaims sensation as a fundamental domain of social theory. David Howes is Professor of Anthropology, Concordia University, Montreal, Quebec. "Howes's Sensual Relations is a must for anyone interested in anthropology coming to its senses. This remarkable book is a subtle and most eloquent contribution to theories of culture and the interplay of the senses, a full-bodied solution to the dry regimes of western mentality, textuality, and visuality. A model of anthropology's radical engagement with the sensuous." "This remarkable book relocates the sensorium to the centre of anthropology. In his meticulous re-reading of Melanesian scholarship Howes reveals the play of the senses that underwrites culture in Massim and Middle Sepik societies. This work is deliciously imaginative, tastefully conceptualized, and its impact on anthropology will be felt for years to come." "The notion of sensual relations as social relations offers Howes a densely saturated framework for important new theoretical insights into Marx, Freud, and the lived reality of the Melanesian peoples." "Enticing, provocative and masterful, this work cuts through conventional social theory to reveal the networks of sensory signs vivifying culture. A major breakthrough in cultural studies and anthropology." "Sensual Relations is one of those rare works that successfully blends the life of the senses with the life of the mind. Howes' evocative prose is a genuine pleasure to read. But don't expect to be sensually lulled to sleep, as startling new insights pepper the pages, and we are left with a dazzling display of the way sensorial anthropology reinvigorates ethnography and breathes new life into culture theory." "Howes' exploration of the varying primacy of each of the senses in two Melanesian societies and in the West is a pleasure to read. His intelligence, enormous command of the literature, and the way he so convincingly chooses his arguments keep the reader fascinated throughout the whole of the book." Copyright © 2003, University of Michigan. All rights reserved. Posted January 2004. 2 drawings, 1 table, 2 maps, 3 illustrations.